The odds were in Joe Morelle's favor headed into tonight's 25th Congressional District Democratic primary. The county's top Democrats, including Rochester Mayor Lovely Warren and former mayor Bill Johnson, lined up behind him. 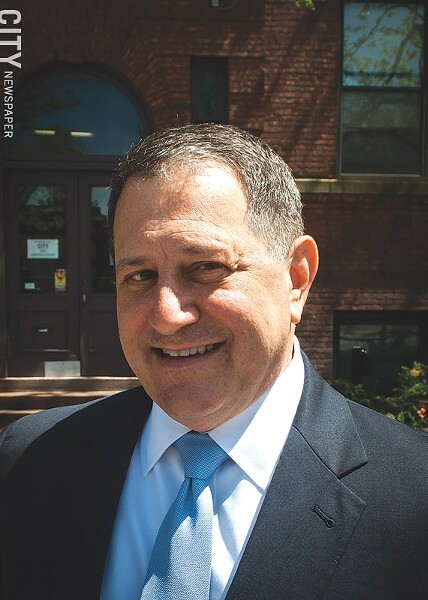 As the State Assembly's second in charge, Morelle had a political operation he'd built up over his 30 years in politics. And not surprisingly, Morelle emerged as the top vote-getter in today's four-way contest. With returns reported from all but 26 districts out of 346, Morelle had received about 43 percent of the votes, according to unofficial returns. Rachel Barnhart, a former television journalist, pulled in about 20.4 percent of the vote; Adam McFadden, vice president of Rochester City Council, received 18.5 percent; and Robin Wilt, a Brighton Town Board member, 17.8 percent. Each of the candidates had positioned themselves as the logical successor to the late Louise Slaughter, who died earlier this year, leaving the seat vacant. Morelle emphasized his experience and record, as did McFadden, while Wilt stressed her progressive credentials and Barnhart ran on a reform-heavy platform. Some Democrats saw the election as a chance to send a message about the county Democratic Party's direction. Whether that happened is open to interpretation. The results favor the party establishment, but not even a quarter of registered Democrats voted. And Morelle's showing of less than 50 percent means that most of the Democrats who did turn out wanted someone else. As of 8 p.m., a sampling of polling places provided by the Monroe County Board of Elections put voter turnout at 16 percent of registered Democrats in the district. It was 14 percent in the city and 18 percent in the suburbs.